Alfredo Estrada set the tone in his opening remarks at a Latino Issues Forum held recently at the Harvard Club of New York City. The Publisher of LATINO Magazine noted that while many Latinos had risen up the ranks of corporate America over the last decade, the glass ceiling to the C-suite had not been shattered. 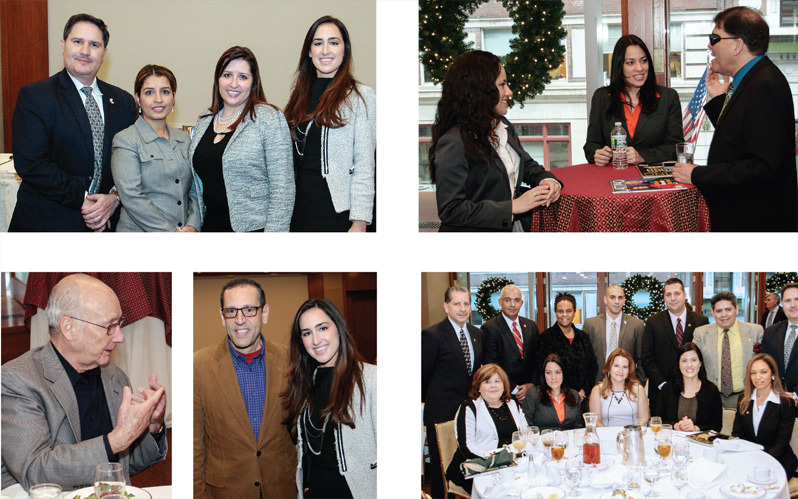 This event was part of an ongoing series of panel discussions held around the country by LATINO. The topic was “Defining Diversity,” and the audience included corporate executives and members of New York chapters of organizations like ALPFA and NSHMBA, as well as LATINO readers. The first panelist was Liliana Canedo, a Corporate Vice President for New York Life, leading national recruiting and sales programs for the company’s Hispanic Market Initiative. A native of Brazil, Canedo has been living in the U.S. since 1999 and joined New York Life in 2002. Recently, she launched a program to identify, empower and support Latino agents into leadership roles. Representing State Street Global Advisors in Boston was Codie Ann Sanchez-Baker, a Vice President and Regional Sales Director. Prior to her current position, Sanchez-Baker worked at Goldman Sachs and was an investigative reporter for the Arizona Republic. The third panelist was Yvette Martinez, Associate State Director for New York at AARP, which has a national membership of 37 million. While a nonprofit, AARP is a leader in workforce diversity and muliticultural marketing programs. The fourth panelist was Juan Perez, Vice President of Technology for UPS. Perez began his 24-year career at UPS as an intern and now oversees the UPS Supply Chain Solutions Information Services group. He is also the coordinator for the UPS Latino Business Resource Group. Many thanks to all who participated in our “Defining Diversity” event at the Harvard Club.